So my grandfather-in-law gifted this rather nice saber to me today, and while I did find other examples of its type on the internet I have not been able to identify the maker's mark. It's, sadly, only partially present on the ricasso. It is unsharpened and due to the presently very rough grind I think that it would end up a noticeable amount lighter and more nimble if sharpened. The assembly is 100% solid. It may have a miniscule bend in the blade, but it's hard to make out with the naked eye. the asterisks represent unknown letters or numbers. 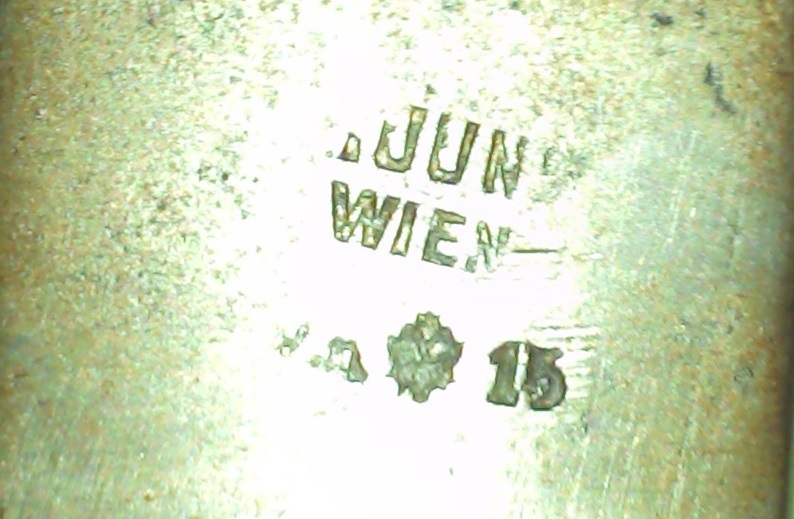 If anyone is an expert on Austro-Hungarian sidearms of WW1 I'd be interested to learn whose maker's mark this might be. Maker's Mark and probably date? It might be "JUNG", preceded by one or two initials. There were several Jungs, producing all sorts of things from Swiss and Austrian sabers to Enfield bayonets; I assume they were all related and business partners, too, because they all seem to have used the same mark, identical apart from their first and second initials. Thank you, that seems quite plausible. The resource I've found (http://www.hungariae.com/Markings.htm) has an entry for [ 'Jung' = E.S. Jung bayonet maker ], which I possibly overlooked due to looking for capitalisation and being somewhat stuck on the double U.
I have a friend in my HEMA club who occasionally deals in antiques, I'm curious to see what he thinks of this one.